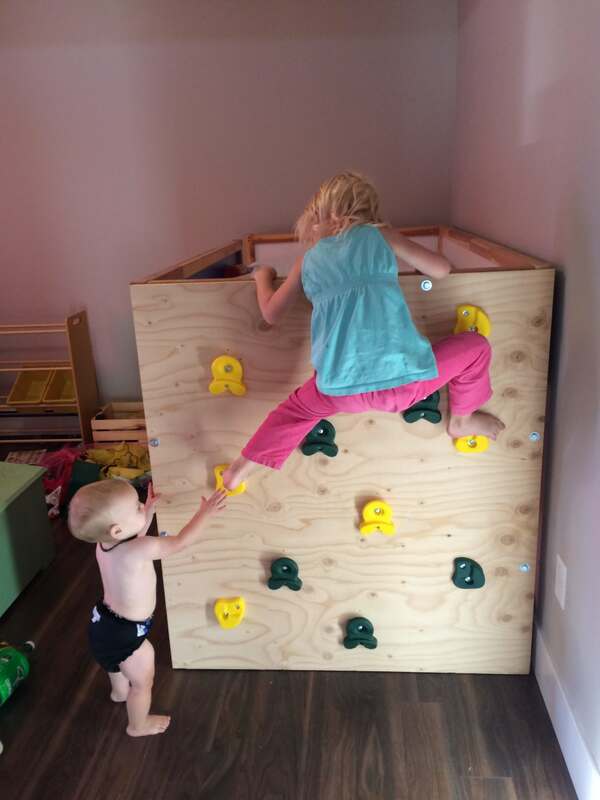 My kids are climbers. They climb anything and everything. My four year old in particular. 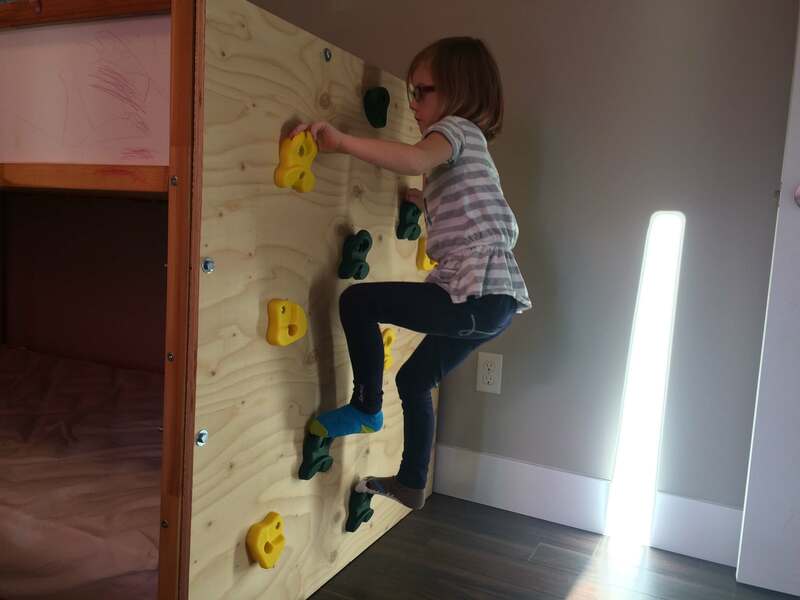 We also live in an apartment so we are limited on what we can build inside of our home. 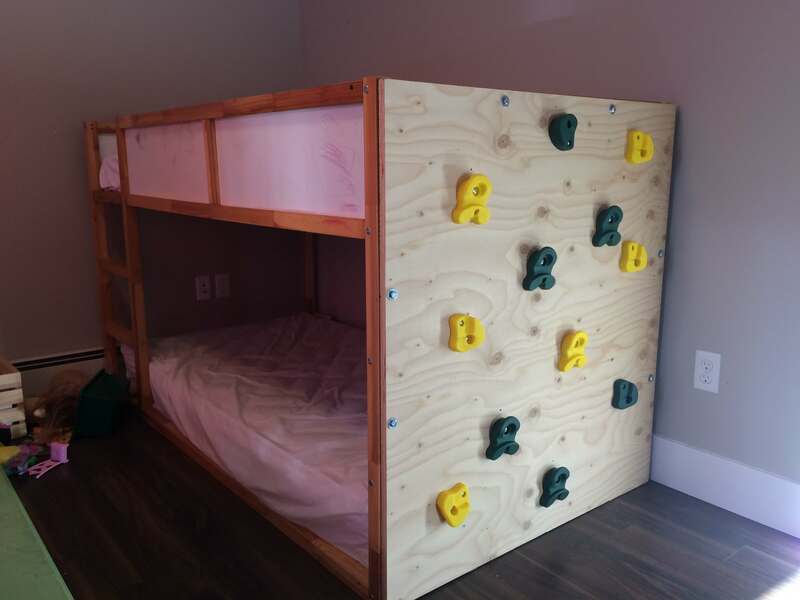 So I came across an Ikea hack of creating a rock wall on the Ikea Kura Bed. However it was just a photo with the supply list, so I kind of made it up as I went. 6 – 3/8″ bolts/nuts. The bolts we used are 4″ long and hang out about 1/2″. I think 3.5″ would work too. 12 Climbing Holds (I bought 2 packages of these from Canadian Tire, but you can buy real climbing holds also). A drill, and a hammer, and different drill bits. 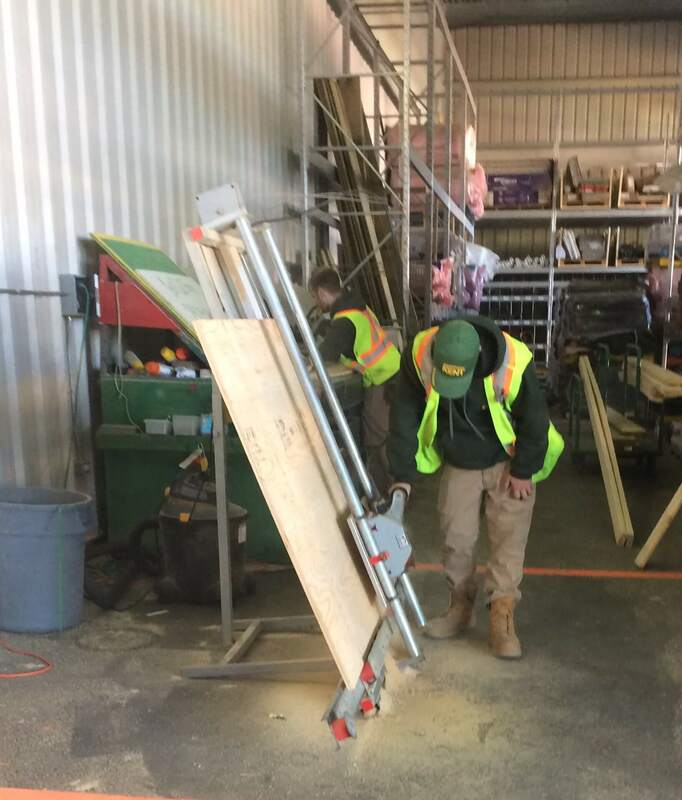 I started by going to our local Kents Hardware store, grabbing my 3/4″ plywood and having them cut it right there at the store since we don’t own tools beyond a drill. Then I located my hardward. All of that cost me a little over $40. 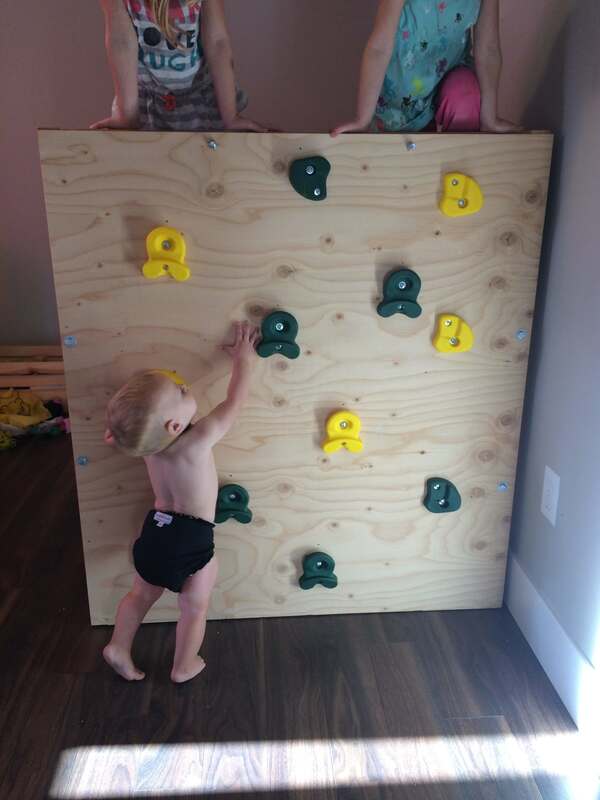 My original plan was to buy actual rock climbing holds and multiple tnuts so we could easily move the rocks around the plywood. But with what we wanted and with what our budget was the playground holds were the cheaper option. You can still move these ones around, just not as easily. 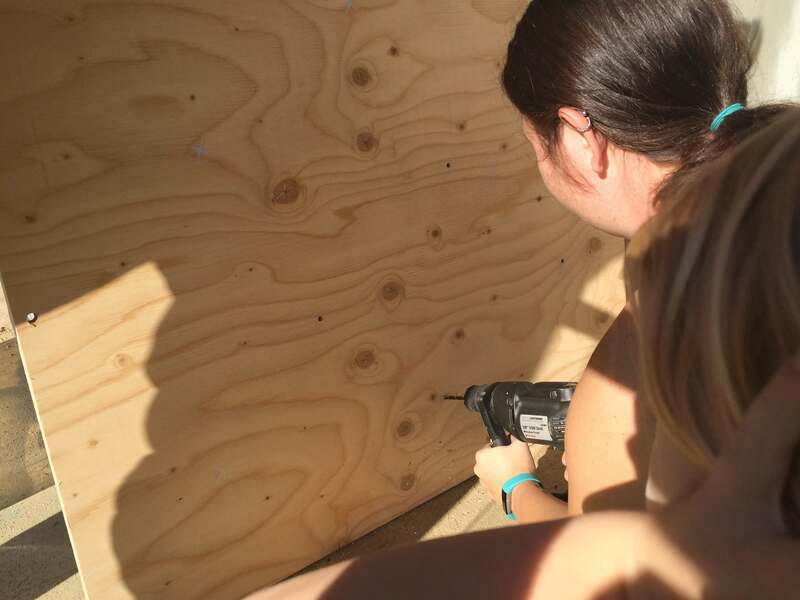 We first held the board up to the bed and drilled 6 holes through the plywood and the bed railings. Make sure you are far enough away from any screws in the bed. We did 2 on either side and two along the top. After that we took it back out and took it outside. 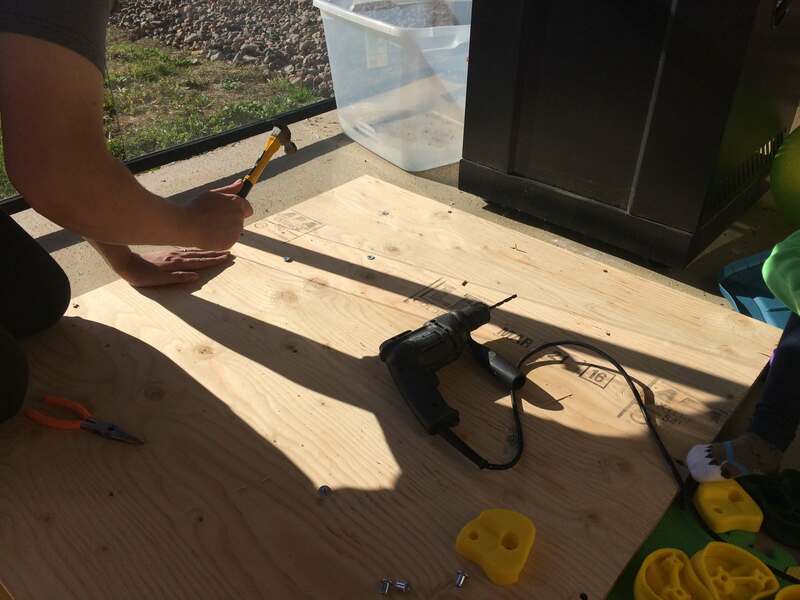 Now we marked where we wanted our climbing holds to go and with a 1/4″ drill bit we drilled 12 holes in the wall. Flip the board over so you are looking at the back side of it, and hammer in the barrel nuts that come with the climbing holds. We actually had some issues with this. The barrel nuts didn’t fit well so we had to go back over the holes and widen them a bit. 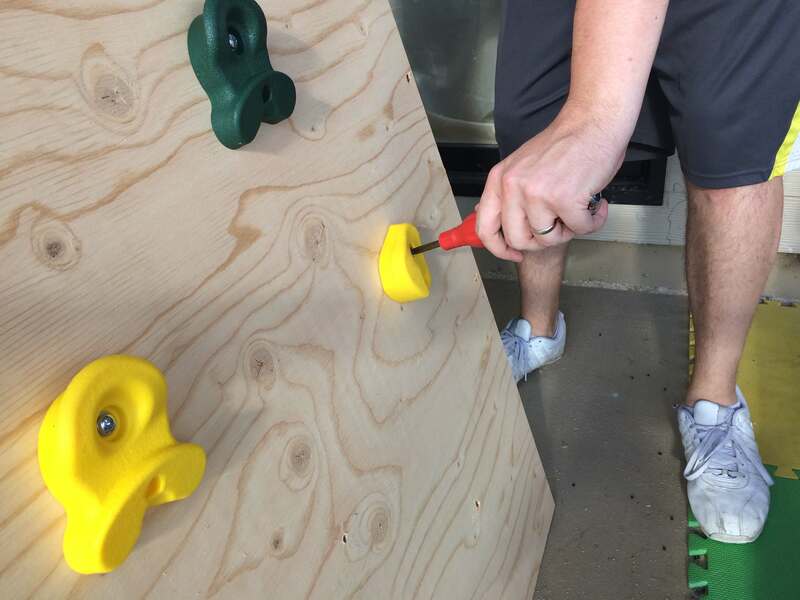 Flip the board back over and start screwing your holds into the wall. 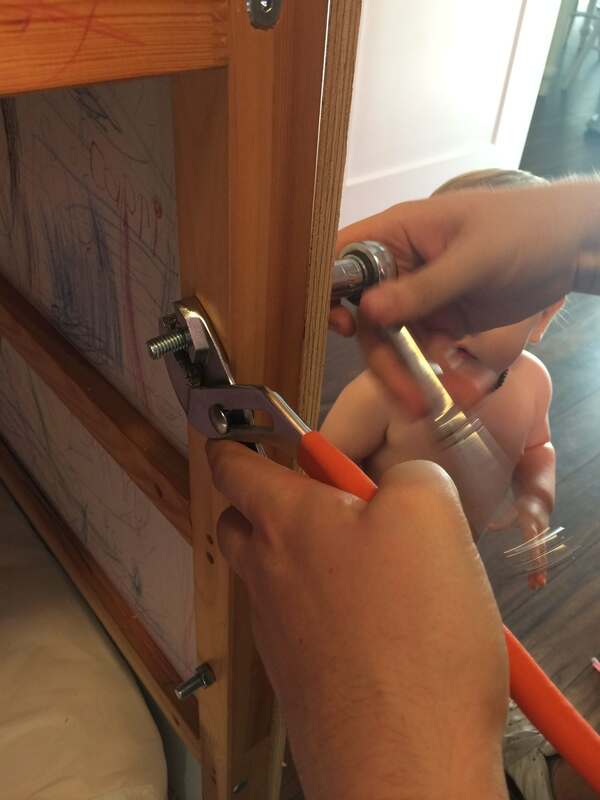 We used both a hand held screw driver and our electric drill. The large bolts go into the barrel nuts (make sure you add your washers), and then you screw in the smaller screws to keep them from spinning. 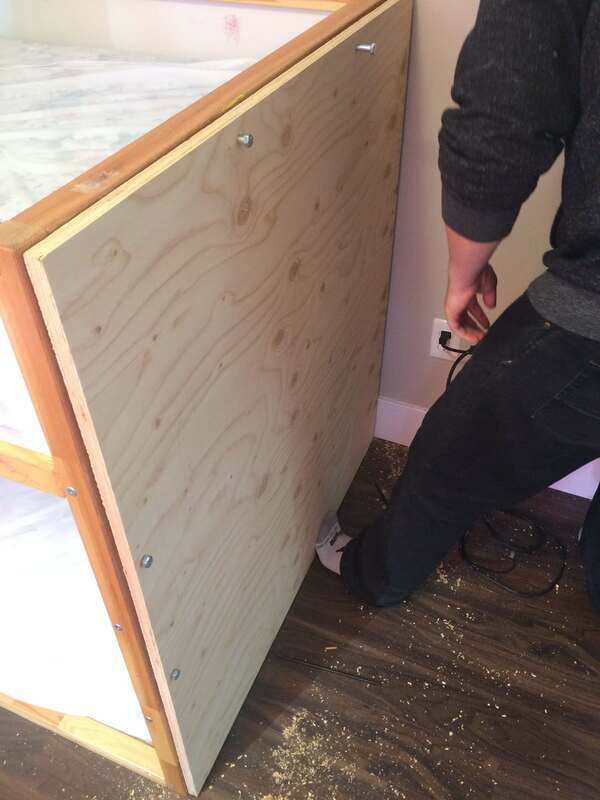 Take your board back in to the bedroom line it up and bolt it to the bed. Add washers on both sides of the bolts to make it more secure (or something, I have no idea. We actually forgot on some of them).